Say goodbye to finding long lost wet swim gear at the bottom of your child's sports bag - say hello to this classic meshed backsack. Got a school sporting event coming up? 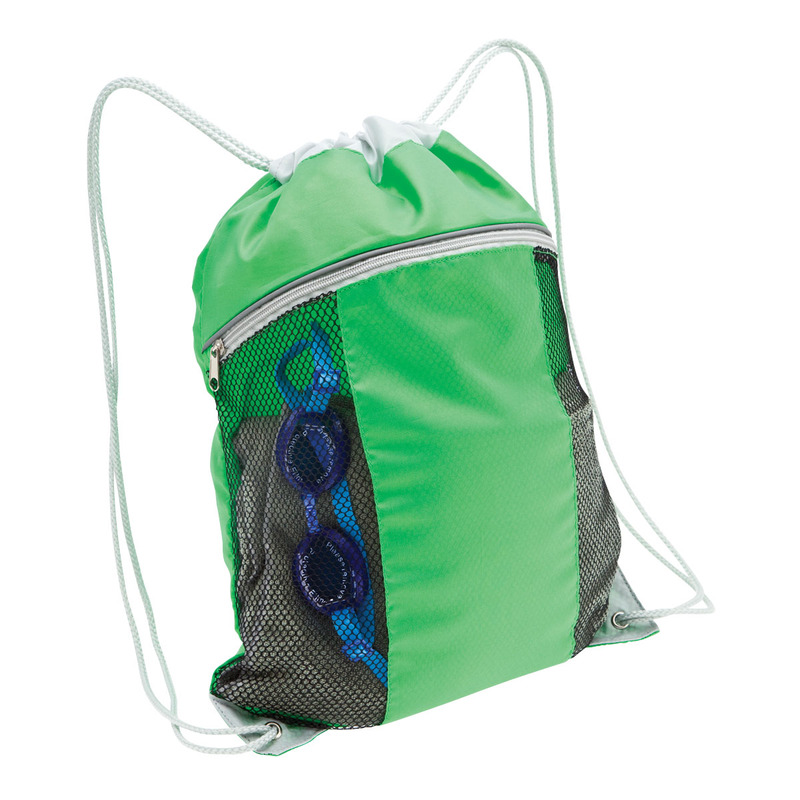 Keep them organised with these functional backsacks. 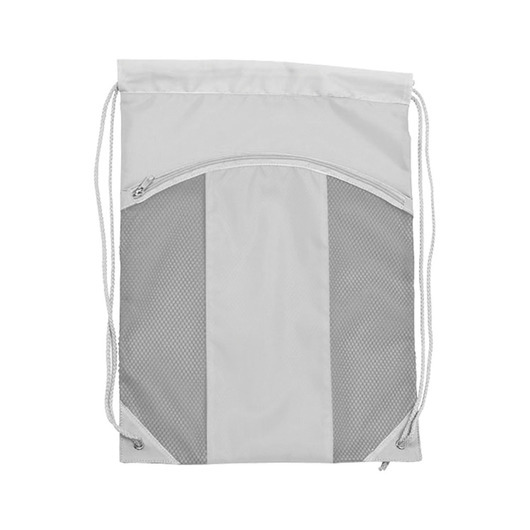 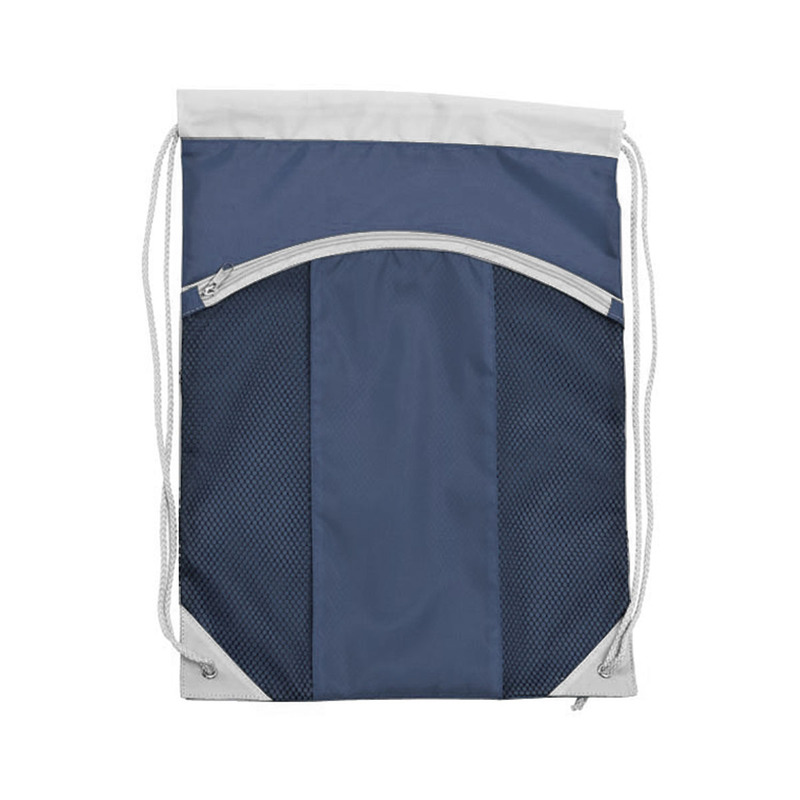 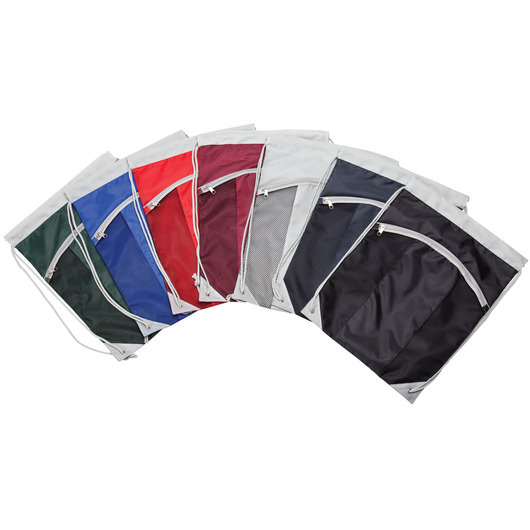 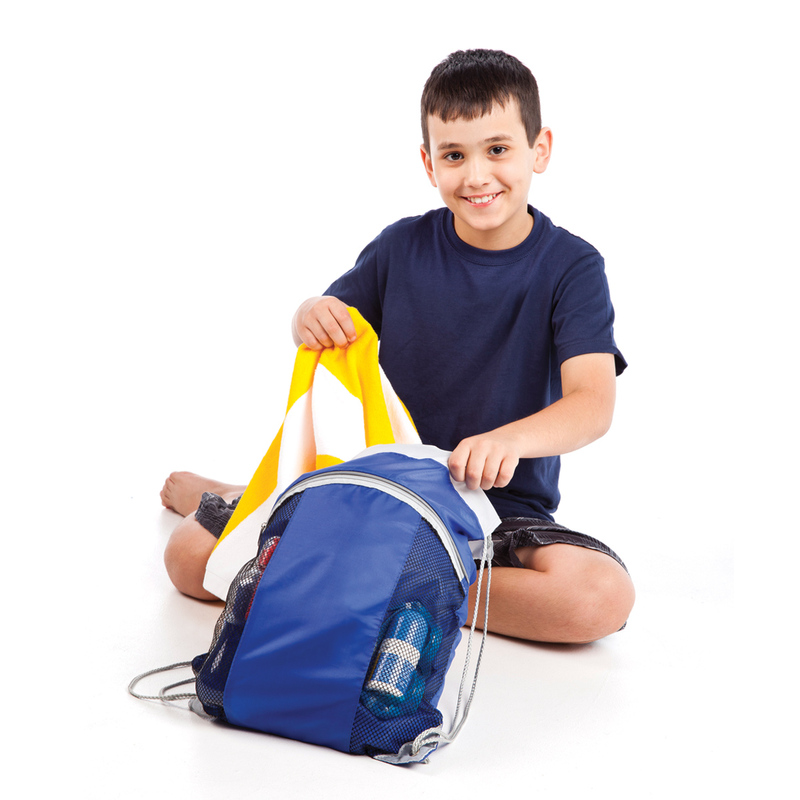 Featuring front zippered storage pockets with mesh panels ideal for wet gear, an easy drawstring closure that doubles as shoulder straps and reinforced eyelets at the base for added strength - this is the perfect backsack for school events.